Many people are familiar with the famous image of Rosie the Riveter that circulated throughout the World War II era. In fact, today, Rosie the Riveter has become a bit of an icon for women. However, many people do not know the story of the woman behind the image. 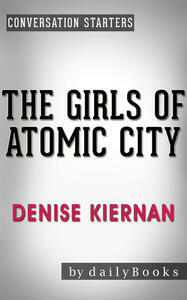 Denise Kiernan has set out to tell that story with her biographical novel, The Girls of Atomic City. The book tells the story of the women who worked on the Manhattan Project without knowing they were helping to supply uranium to create the first atomic bomb. In its first week of sales, The Girls of Atomic City became a New York Times bestseller.